Provide comfort for the family of Sally Smith with a meaningful gesture of sympathy. Sally L. Smith, of Augusta, died March 24, 2019 at Maine Veterans’ Home, Augusta, two days before her 90th birthday. Sally was born on March 26, 1929 in Hallowell, ME. She was the daughter of Francis E. and Ida L. (Bates) Dawbin. 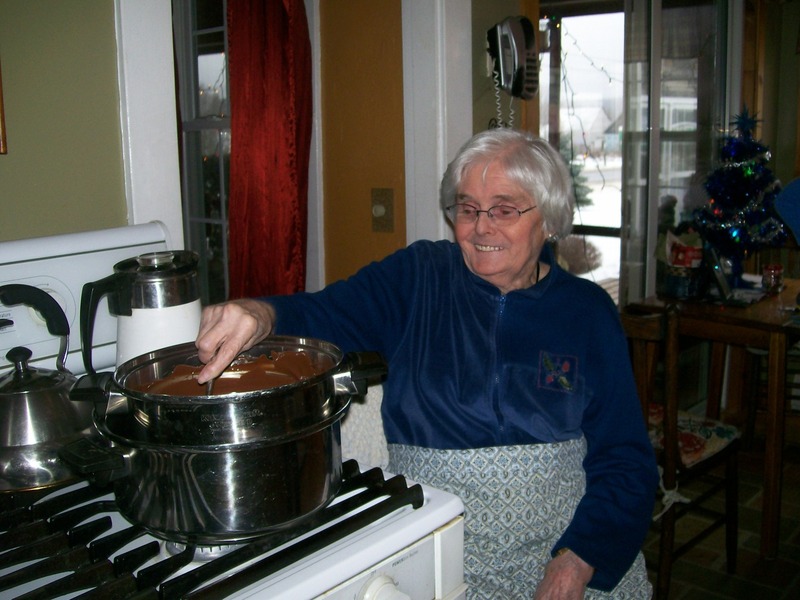 Sally grew up in Hallowell and graduated from Hallowell High School in 1947 as Salutatorian of her class. She was previously a member of St. Matthew’s Episcopal Church. Prior to marrying and raising her family, she had been employed by Murray Machinery in Augusta and later in life worked for a few years in the catalog department at Sears Roebuck in Augusta. Sally was pre-deceased by her second husband, Clifton (Smitty) Smith; her first husband, Carl Farrington; a daughter, Barbara Seaman; a sister, Barbara Wyman and a daughter-in-law, Theresa Smith. Survivors include her sons: Fred Farrington and his wife Gloria of Sidney, ME; Kevin Farrington of Pensacola, Florida; Emery Smith and his wife Cindy of Whitefield, ME; and her daughter, Dianne Heino and her husband Michial of Belgrade Lakes, ME; nine grandchildren; 12 great grandchildren; as well as many nieces, nephews, cousins, extended family, and friends. Sally and Smitty shared many road trips and visited most areas of Maine. She loved the “original” country music, enjoyed old westerns on television, knitting, reading, and doing crossword puzzles. Sally was a lover of “sweets” and getting the corner piece of cake or a chocolate whoopie pie with peanut butter frosting could make her day. Special time with her loved ones, and especially her grandchildren, was very important to her. Sally’s family would like to express their heartfelt appreciation to the staff of the Maine Veterans’ Home of Augusta for their excellent and compassionate care during her stay. The family also extends a thank you for MaineGeneral Hospice for their caring comfort and support. Relatives and friends are invited to visit on Friday, March 29, from 2:00 - 3:30 pm, at Plummer Funeral Home, 16 Pleasant Street, Augusta, ME, where a memorial service will follow at 3:30 pm. Burial will be at a later date in the new Maine Veterans Memorial Cemetery in Augusta. Memorial donations in Sally’s memory may be made to: Maine Veterans Home, Activities Fund, 310 Cony Road, Augusta, ME 04330 or MaineGeneral Hospice, PO Box 828, Waterville, ME 04903-0828. 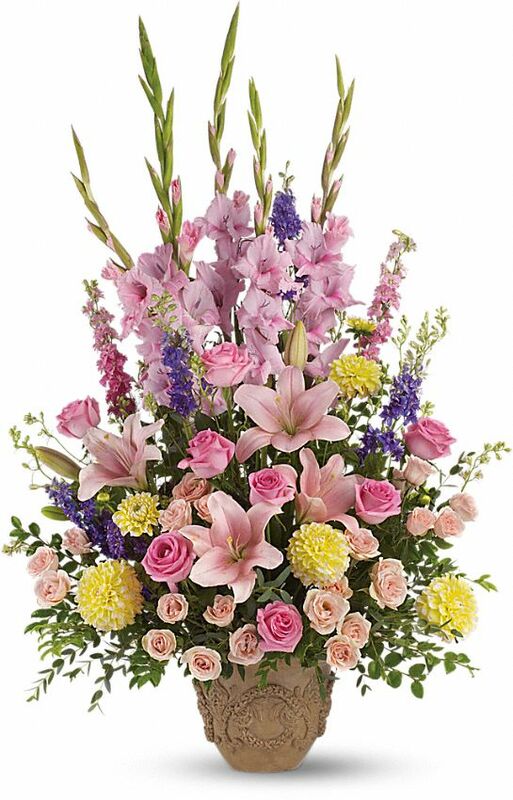 Provide comfort for the family of Sally L. Smith (Dawbin) by sending flowers. Miss Sally was a really special lady. I enjoyed working with her so much. We enjoyed 'spa days,' watching Racheal Ray and Gunsmoke. She loved her family and shared many memories with me. I shall miss her very much. I had been thinking of Sally, wondering where she was, how she was doing, then I read of her passing. Never knowing how small a world we live in- I met her wonderful son, Emery & daughter, Dianne while working at KSB. Sally on the other hand was a more than wonderful lady who always had a gift for us drive-up girls and then always a candy bar for "Him" and one for "Her"- my husband & me. Sally also brought a stuffed bunny who sings "Jesus loves me". Little did I know, that bunny became one of my Granddaughter's favorite toys. Watching her, I always thought of the generous nature of Miss Sally. God bless you and may you rest in peace. Emery and family may you find peace in knowing Sally was a wonderful woman and loved by many. Heartfelt Sympathies Store purchased flowers for the family of Sally Smith. You have my deepest sympathy in the loss of your mother. May your memories be a source of comfort during this difficult time. Also trust in God for comfort and strength in the days and months ahead, because he promises to heal the broken hearted. Please read Psalms 147:3.